I am participating in Jennifer Rizzo's Holiday House Walk this week. My house will be featured on Friday and I'm so excited to show you what Hydeaway Cottage will be wearing this holiday season. But before I post my holiday decor, I thought I better share a couple of photos of the progress I'm making on the dining room. First of all, you may recall this post where I mentioned that I had just purchased a pretty settee from World Market. 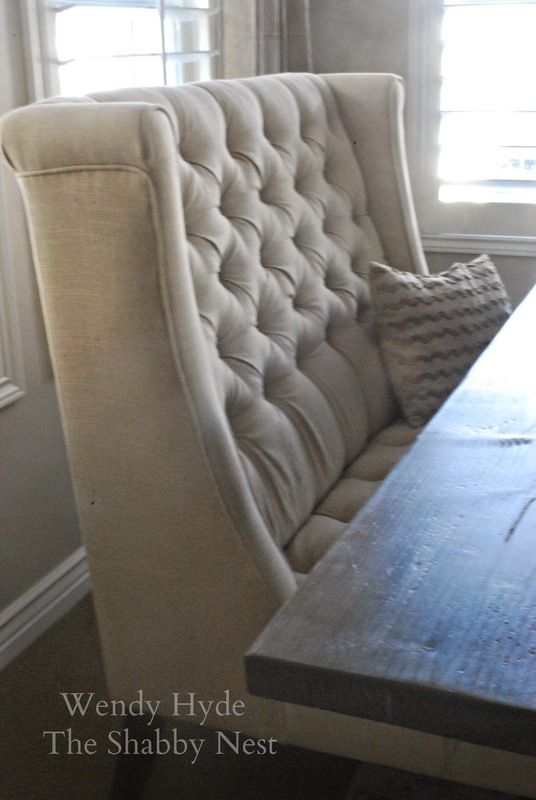 Well, the dining room proudly boasts the pretty tufted seating at the dining table. ...and this stunning chandelier from Shades of Light to replace the builder grade lighting that was here when I bought the house. 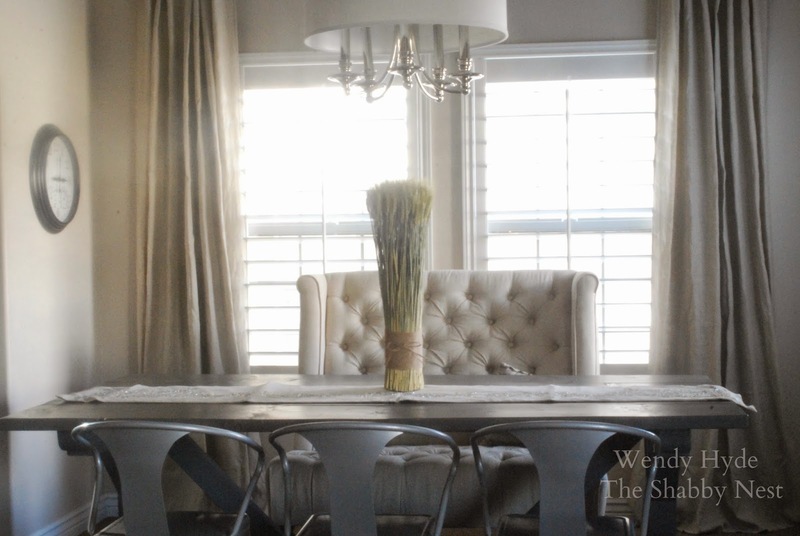 It's the Springfield Chandelier in Polished Chrome and it does wonders toward making the space look more custom. Shades of Light provided me with the Springfield Chandelier, however, the opinions expressed about it are 100% mine. It's looking great, Wendy! I love it all. 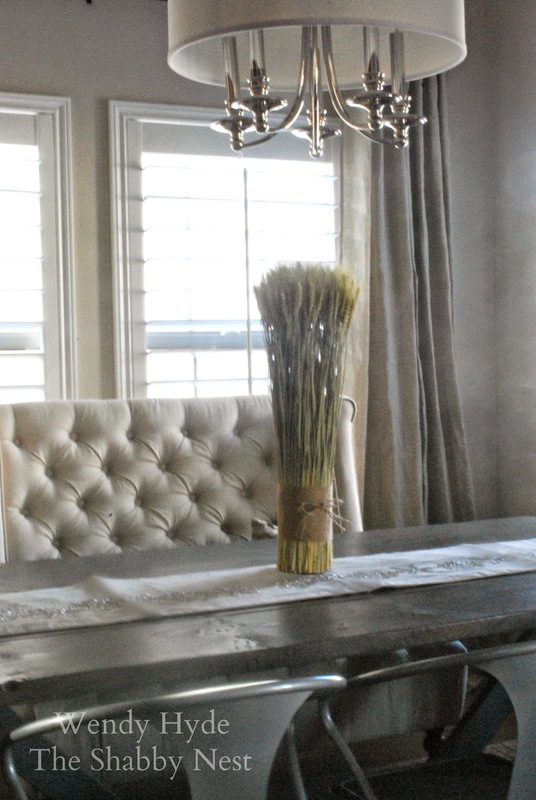 I love how long and affordable IKEA drapes are and I love the ones you installed! Do you happen to know which ones they are? Lookin' Good! Love the Settee!